Box ship giant MSC Mediterranean Shipping Company SA (MSC) has secured $439 million in financing for scrubber retrofits on 86 vessels. The deal came to light Friday when Watson Farley & Williams LLP (WFW) said it had advised BNP Paribas as co-ordinating bank and agent for the agreement, that also involved four other banks and it backed by China’s state run China Export & Credit Insurance Corporation (Sinosure). 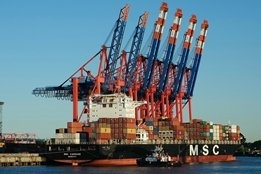 MSC is the second biggest box carrier by capacity with 14.5% of the market, according to Alphaliner. Its scrubber-focused IMO 2020 compliance strategy comes in contrast to that of Maersk Line, the world’s biggest box shipper, who is taking an almost entirely fuel-based approach to the new global sulfur cap. Still, MSC believes its bunker bill will rise by $2 billion because of the new rules.